A melting pot of creativity, technology and futuristic aspiration. Have you ever wondered what inspires creativity or how the creative mind works? How is VR changing the way we view the world around us? Might you be interested to learn as to how DJ Shadow produces, Joe Goddard writes a song, or how KiNK performs live? Perhaps those last few are rather specific examples, however, all of the above are topics covered at Sonar’s daytime creative, tech and business-focused conference, Sonar +D. Originating in 1994 as a record and technology fair running parallel to Sonar by Day, the format would evolve several times before Sonar +D was born in 2013. This was when the day component moved base to Fira Montjuic, Barcelona’s main trade fair institution. 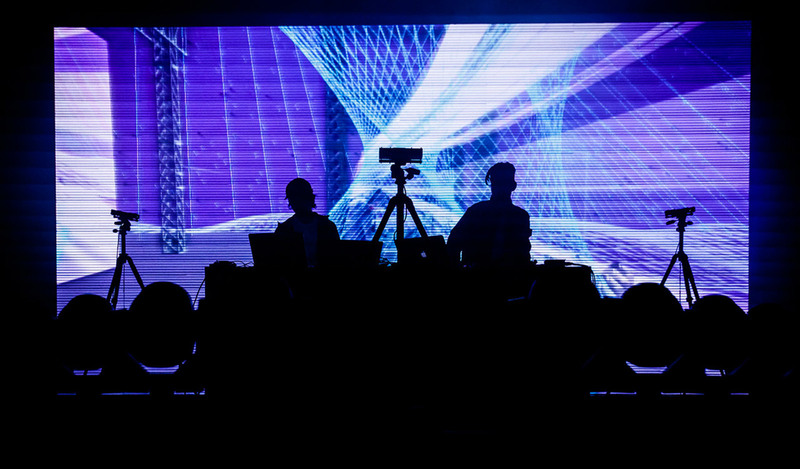 Sonar +D brings together music professionals from around the world to share ideas, knowledge and to feed into and from Sonar's main festival performances. The result forms a broad collection of interdisciplinary activities that attempts to celebrate electronic music, whilst offering learning and networking opportunities to all. Showcase performances this year come from DJ Shadow, Moderat (live); Vitalic (live); Arca & Jesse Kanda (live and AV); Evian Christ, whose performing his new album; and Nosaj Thing + Daito Manabe (live and AV). However, elsewhere you’ll find a wealth of audiovisual exploration, where artistic license is free to roam even further, where stories, ideas, and theories are presented via talks and performances aiming to match and surpass human imagination. Broken down into a series of interdisciplinary categories there are talks on the creative mind, the future, AV, music business and legal. There are also workshops covering sound design, business migration and robotics. MarketLab exhibits outstanding technology from creative, media, university and business labs. As if this then wasn't enough there are 360 degree visual shows; networking events with experts, artists, and investors as well as AV performances and experiences tackling virtual reality and live shows. One of these artists taking audiovisual performance in a direction all of his own is Tarik Barri, a Dutch sound designer and visual software creator who’s worked with Radiohead, Atoms For Peace, Nicolas Jaar and Monolake amongst others. Using Versum — written in max/msp, java and GLSL, a realtime audiovisual software application he’s been developing for eight years, he’ll present an exclusive 3D performance. “Initially I made it (Versum) to create music in 3D. Just like in a computer game there’s this virtual space and with a special 3D joystick (the Spacenavigator) I fly through it. All the shapes, lines, objects we see along our way produce sound, literally all of the sounds we hear are created by those objects. Objects further away are heard at lower volumes, while those closest to us are the loudest. And the way I fly, the path I choose, completely determines which of these objects we hear and see, and when." He’s joined by sound artist / photographer Lea Fabrikant and together they’ll use midi-controllers, a 3D joystick, a microphone and webcam with Max for Live and Ableton Live as the sound engine. 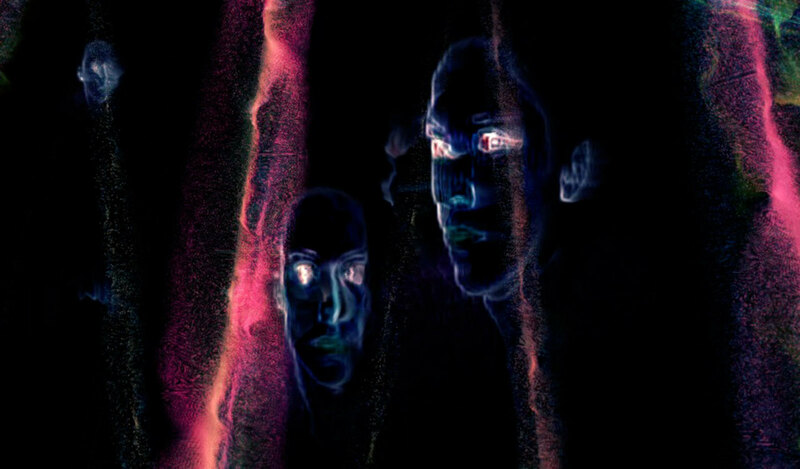 Portuguese duo, Boris Chimp 504 (Miguel Neto and Rodrigo Carvalho) also draw inspiration from the cosmos named after the Soviet space mission chimpanzee that was sent to the Moon in 1969. It never returned. 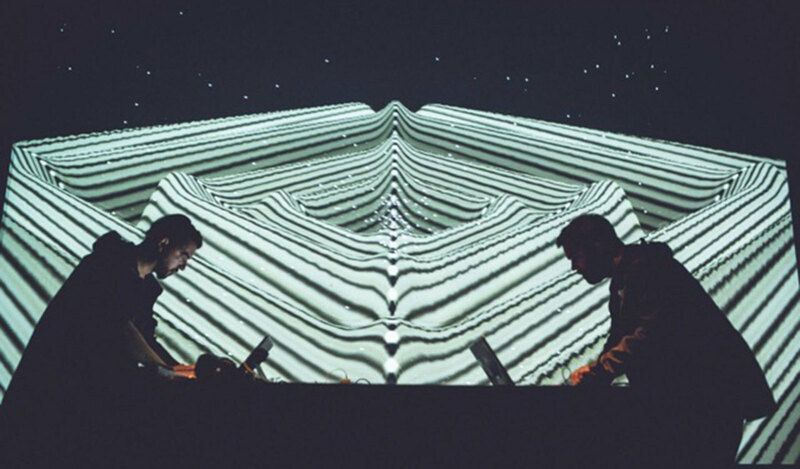 This cosmic narrative directs their performance at Sonar +D, called Multiverse, which divides into three acts, using a multitude of equipment split with Miguel on sound and Rodrigo on visuals. Act 1 is dedicated to Boris lost in space, Act 2 is when Boris gets trapped in a wormhole, jumping between universes in a chaotic way. Act 3 is the resolution and final part in which Boris finds out how to manage travel between the multiple universes. Rodrigo: “I use mainly Quartz Composer for the visuals. All the graphics are live patches rendered in real time, and audio-reactive. For each show I create a set of Quartz Composer visual patches that are then triggered and manipulated on stage with VDMX. On stage I receive a line-in from the master-audio on the mix table, then on VDMX an audio analyses is made on real time, and specific frequencies and amplitudes are mapped to different parameters on the visual patches. I also use a MIDI controller (Launch Control) to manipulate parameters and trigger patches. 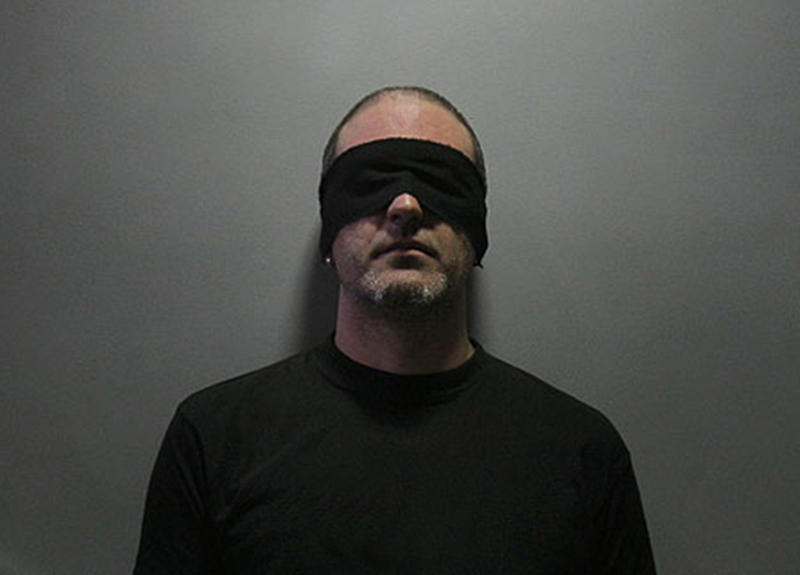 Internationally recognised performance artist Francisco Lopez will present the results of a collective project made in two cities, The Hague (2016) and Madrid (2014), that gathered sound artists, experimental musicians, “noisists” and audio artists to contribute their work to the project, 350 in total. This body of work was performed by a computer in one ‘meta-performance’, executing a public Turing test of sorts and the results will be presented by Francisco at this years Sonar +D. His first steps into sound artistry and performance has far more humble beginnings. From here he’s developed a style that focuses on recordings and profound listening, looking deeply into the relationship within environments, inside and out, human and natural. "My preference to sound recordings over the instrumental realm (whether traditional or electronic, synthetic) has to do with what I call ‘cooperation with reality’. This is not a simple matter of ‘sampling’ or ‘sound sources’ but instead, goes to the core of a sonic ontology. This acknowledges that ‘reality’ (whatever it might be) also contains temporal structure, virtual space and many other uncontrolled and undesigned features. Most importantly, it also fully acknowledges that sound recordings are not sound sources or simple representations of them, but have the right to the same ontological status. The obvious corollary is a way of composing that, instead of putting the extractions from reality into a priori musical structure, depends upon that reality in a fundamental structural, textural, and experiential way, and thus evolves with it." Some of the elements used in works produced by Rhizhomatiks take inspiration from a military arsenal or sci-fi movie: drones, robotic arms and lasers. Headed up by Daito Manabe and Motoi Ishibashi, these and other technologies are explored to create shockingly thrilling AV performances. Daito, who’s worked with Bjork, Timo Maas, Squarepusher and Chance The Rapper on visual content, will be performing with music producer Nosaj Thing (Chance The Rapper, Kendrick Lamar, Kid Cudi) at this years Sonar +D. Collaboration is a strong theme in Daito’s career, with each project very different to the last and he adopts a structured method to aid this process. Technology spurred the creation of electronic music, and thus its development is key to the progress it makes. With a legacy attempting to bridge the gap between creativity and technology, Sonar +D is a meeting like no other and takes place next month.